Ed and Delia joined us on an day trip up north for some birding and hiking. We stopped at Eide Road in hopes of finding shorebirds (our particular target was a Semipalmated Sandpiper, I think) but the wetlands were nearly dry and devoid of shorebirds. We couldn't find the Barn Owl under the bridge either. 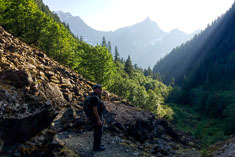 I had in mind hiking Mount Dickerman off the Mountain Loop highway but decided it would be too difficult for us so we stopped at the Big Four Ice Caves instead. 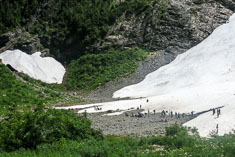 The ice caves melted out completely in 2015 but since then snow has accumulated in some good-sized patches and the location is still a very popular destination. 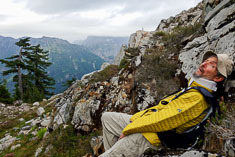 No wonder, since the hike is easy and the scenery spectacular. 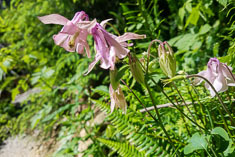 Flowers were nice in places too, including a pink Columbine along the trail near the upper edge of the forested area. 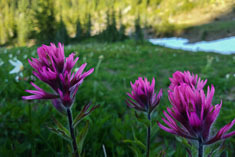 I have never seen a pink one in Washington or anywhere else; based on the flower structure it was probably an escape from cultivation. 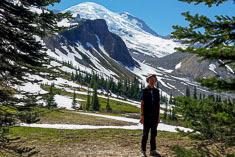 A forest ranger we met at the end of the trail explained that Big Four mountain was not named for its number of peaks but rather for a snowfield shaped like a "4" on the side of the mountain facing the old mining district of Monte Cristo. 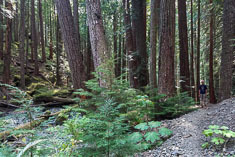 He also suggested Perry Creek trail as a possible hike for us and noted that the diversity of ferns along that trail is probably the highest in the Mount Baker Snoqualmie Forest. 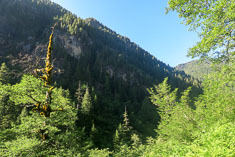 The Perry Creek trail was a pleasant hike even though we only made it about halfway up. 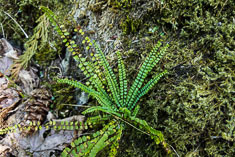 It did indeed sport a variety of ferns; I counted 10 species (Sword fern, Deer Fern, Bracken, Oak Fern, Licorice Fern, Lady Fern, and another one in addition to those pictured above). 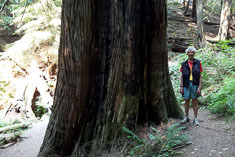 Also noteworthy were the very large Douglas fir trees scattered through the mature second growth along the trail. 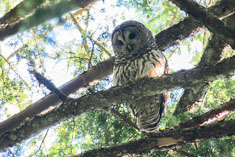 We had 17 species of birds including a Barred Owl not far from the trailhead which we spotted after hearing the hissing call of a young one. Ed and Delia were delighted; they did not have one yet for the year. One of the reasons we bought a large house was in order to be able to host Darchelle's extended family and we tested that capability this week, when Ben and Sally drove over from east of the mountains with their five young children, then Darchelle's sister Alicia with her boys Daniel and Gabriel and Darchelle's parents Richard and Donna all joined us. We thought the house hheld us all very comfortably; hopefully our guests agreed. We spent lots of time sitting around visiting and eating. Alicia took photos. Ben cleared our clogged gutters. Richard and the boys filled our new planters with dirt then helped me dig holes and plant plants in the garden. 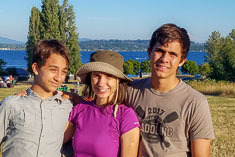 Ben and Sally left midweek but the others stayed through the weekend and we all went to church together, lingered for a potluck and sending off ceremony for Ellen who is going to Spain shortly, then took a late afternoon stroll through Magnuson Park where we met Marco and Monica. 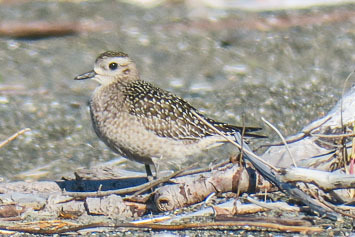 A rare Red-necked Stint, still in breeding plumage yet, was reported at Crockett Lake on Whidbey Island three days ago but I didn't hear about it until this afternoon, after the family left. My own fault - I haven't been reading email or checking the rare bird alerts. Even this morning it was being seen at close range within 50 yards of the road. After some dithering, I decided to head up there even though we wouldn't arrive until a couple of hours before sunset. My indecision was not just about whether the bird was worth the trip, but about the broader question of whether I want to keep trying to chase rare birds at all given the steady decline in my ability to manage the mechanics of birdwatching - looking through binoculars, handling the camera, carrying the scope, entering my sightings in eBird on the phone. My capabilities to find, identify and photograph birds are all impacted. Birding has become an exercise in frustration, stained with sadness. We did not find the bird. Quite possibly, we overlooked it. The sun was low and the light difficult. 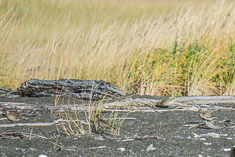 Unable to scan the mud flats with binoculars and unable to set up or move my scope, I couldn't cover the area very well. The few other birdwatchers there didn't fare any better. 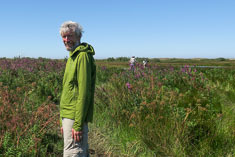 I walked out across the Salicornia with another birder named Mary. She carried her scope which I borrowed to scan the peeps on the distant mud flats but the birds were backlit and we couldn't pick out the rufous neck which would have distinguished the stint. We did watch a pair of Peregrines course over the flats and flush all the birds far far away except for a couple of small high-flying sandpipers. Powering low over the mud, the female Peregrine shot up underneath them and struck the lead bird then whipped around and grabbed it in the air. She settled on a snag over near where we were parked to pluck and eat it by the orange light of the setting sun. We hoped it wasn't the stint. As we were waiting for the ferry home, Andy called. He and a friend would be coming through Seattle tomorrow morning on their way to look for the stint. If I wanted to join them they would be happy to stop and pick me up. 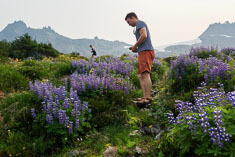 I had already made plans to hike up to Summerland tomorrow with Daniel and David. Both Daniel and Darchelle urged me not to abandon them. Suspecting that the stint had probably left town, I told Andy I couldn't make it. Not chasing the stint with Andy was the wrong decision. It was still present; they had great views of the bird, and by the time I was able to get up there again, three days later, it was gone. Chances of another showing up in the state during my lifetime, or at least while I am still functional enough to go look for it, are slim. 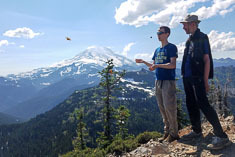 Meanwhile the hike was glorious but both Daniel and David brought a friend along so they might not have noticed my absence until dinnertime, when I paid the bill. BTW, any bitterness you might detect in the previous statement is not about paying the bill for dinner with my boys, which I'm happy to do any time, but rather about the ongoing and unrelenting loss of the primary passion of my life, birding. 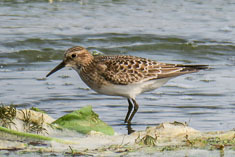 Failing to see the Red-necked Stint was ultimately just one more increment of that loss. 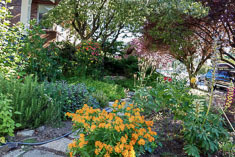 Our garden, disheveled as it is, is a source of pleasure for both of us. 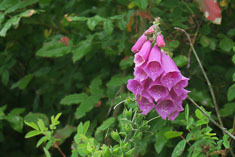 Here are a few pictures of its midsummer glory. Darchelle planted three big beefsteak tomatoes in our new planter box in the median strip, the sunniest spot in our entire yard. We would have preferred cherry tomatoes but couldn't find any plants for sale this late in the season. 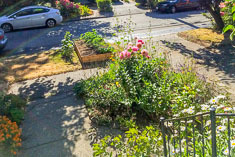 We planted pots of sweet basil, three for $10 at QFC this week, in the front corners of the box, and two raspberry plants in the median strip next to the box. 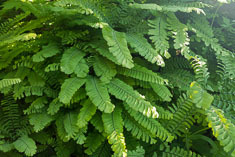 We purchased two boxes; the second one is on the north side of the house and hosts a single Kiwi vine, which hopefully does not mind lots of shade. 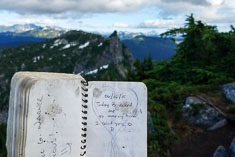 We intended to get back to Mount McCausland, along the Pacific crest Trail north of Stevens Pass, earlier this summer to celebrate the second anniversary of my asking Darchelle to marry me. Today we were a month late but nobody seemed to mind. 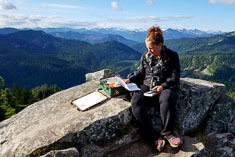 Darchelle found the note she had written in the summit register on the occasion. Although we did not see Black Swifts this time, and we also did not find the previously reported Three-toed Woodpeckers, we did see and hear my first Pine Grosbeaks for the year. My brother Eric died early this morning, though the medical examiner recorded yesterday as the date of death. John discovered him lying in the fetal position at the foot of the stairs just inside the back door while the boys and I were driving up to Chinook Pass. John at first thought he was sleeping and asked why he was sleeping there at four o'clock in the afternoon. When Eric didn't respond John felt his wrist. He was cold. 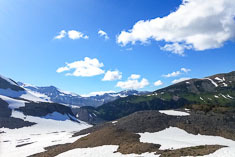 The boys and I left the car at 2:00 PM and hiked out the Naches Peak Trail on the east side of the pass. John called 911 after asking a passing kid on a bike what was the number he was supposed to call. John was so shocked at finding Eric dead that he could not remember whether it was 311, or 511 or what. The kid stayed with him until the police arrived about 10 minutes later. 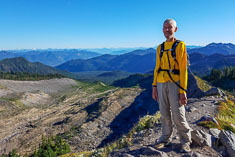 When we reached the height of land to the east of Naches Peak we left the trail and hiked along the ridge towards the prominent open peak about a mile away. We had to descend a little cliff face, rather dicey without using my hands. On the way back we dropped down on the south side of the ridge and avoided the cliff. After calling Mom and letting her know John tried several times to call us but we didn't have service. The open ridge up to the peak was steep and gravelly but not too difficult. 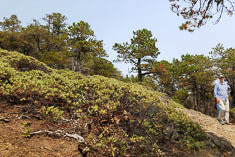 When we reached the top we discovered that it was indeed a peak and not just a high point on the ridge. Cliffs dropped into a cirque to the east and a steep talus slope to the south. We sat down on the summit, a round table of shattered rhyolite about 10 feet across, and popped open a couple of beers to celebrate. Daniel had service on top and found a text from Darchelle asking us to call John. He called and handed the phone to me. I started to cry as John described finding Eric and the boys put their arms around me. There were no words or even feelings, just tears. I don't think I cried again until 10 days later after talking through my eulogy with Darchelle back in Jackson. 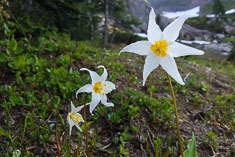 On the way back to Chinook Pass Daniel swam in a little tarn while I photographed Avalanche Lilies and magenta paintbrush. 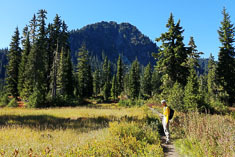 In my biggest hike of the year so far (8.6 miles, 3800 feet), David and I did Granite Mountain. 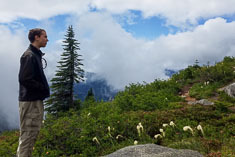 The weather was gray and even a little drizzly but while we were on top the clouds began to break up so we caught glimpses of views. We averaged 1300 feet per hour on the ascent and that was about all I could do. That's about half of what I could do a year ago, a consequence of reduced lung capacity due to withering of my chest muscles by ALS. If I continue to decline at that rate I'll be dead by next summer. That's how it goes with ALS - death is the endpoint of every line of thinking. Anyhow, other than my breathing I felt pretty strong although the muscles in the back of my neck were feeble for the last couple of miles. David and I spent a week in Jackson with the family. Darchelle joined us on Thursday and flew back with us on Monday after Eric's Memorial service on Sunday. All of the grandchildren came back for the service so the boys were busy with their cousins. Darchelle and I enjoyed lunches in the sun on the terrace with Mom and John and walks around the Triangle with John. On our own we did a little hike on Black Mountain up behind Burgess's Pond where a few beautiful orange Amanita caesarea mushrooms were fruiting. 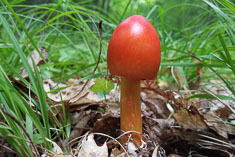 It turns out that A. caesarea is the European species and that the North American species is named Amanita jacksonii. For Jackson apparently, which is appropriate since Jackson is the only place where I have ever seen them. 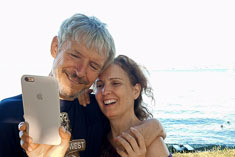 I also spent a fair amount of time with Sarah and Roger. They have developed an interest in birdwatching so we went birding in Pinkham Notch on one morning and hiked up Doublehead on another. 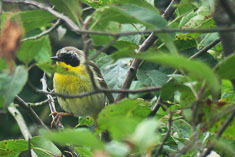 We managed to find a few warblers and even get glimpses some of them. Then while we were admiring the views from the ledges on South Doublehead a Merlin flew by and shortly afterwards a pair of Boreal Chickadees flitted through the spruces. They are not easy to find even on Mount Washington and I had never seen them on Doublehead before so I was pretty excited. The service was the focus of the week but we didn't specifically work on it more than a couple of hours a day. Eric was on our minds but we didn't talk about him much. John worked on taking care of financial matters and dug up copies of the will and trust. Mom collected photos from various albums and copied them in order to put together a couple of foamboard collages for the service. Sarah contacted friends and associates of Eric's from various times of his life to ask them to share their memories during the service. 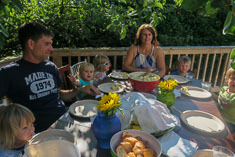 His closest friend Rick joined us on two evenings for a beer in the afternoon sunshine under Sarah's grape arbor. 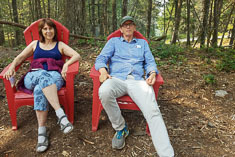 For the last number of years he and Eric and a group of friends met up on Eagle Mountain House golf course almost every summer evening for nine holes and a few beers. They called Eric "Little Buddy". He was a competent golfer but his swing was the strangest Rick had ever seen, which might have been due to his chronically sore hips. 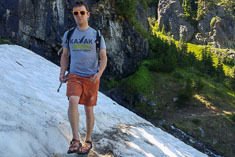 For years Eric had planned to get surgery to repair his hips but first he had to take care of the abscess behind one of his molars, but he couldn't do that until he got some medication for his high blood pressure. Finally, just in the last month or so, he had scheduled an appointment with a dentist to work on the abscess so that he get the hip surgery. 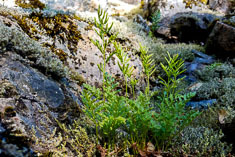 Like a houseplant moved into the sunshine, he was growing again after being dormant. We don't know who or what was the sunshine in his life. Eric was a very private person, something recognized by most people who knew him. Nowhere was that privacy more evident than with his house. Even Rick, despite knowing him for 20 years or more, had never been inside it. I think I was the last person to visit him at home and that was two years ago. 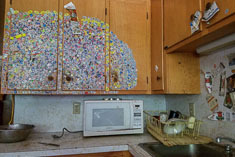 He didn't bother much with housecleaning, nor with repairs for that matter. Only one toilet was still functional and the seat for that one was leaning up against the wall, close at hand for when it was needed. For three seasons out of four he simply walked downstairs and went out the back door to pee. Perhaps that was what he was doing, late at night on the 17th, when he fell down stairs and hit his head. Walking through Eric's house was like stepping into a time capsule. Ski area maps we had collected during family ski vacations when we were kids still hung on the wall, along with a poster I had in my bedroom during high school. Christmas gifts from the last several years were piled on a table in a corner of the kitchen. In a spare bedroom several road bikes in various stages of disassembly were clustered around a bike repair stand. In another corner of the same room I spotted a pile of computer parts and broken circuit boards, some of them the remnants of laptops he had thrown out the window in frustration over the past decade or so. Not everything was old. Clean laundry hung from racks and exercise equipment and furniture corners around the house. He didn't have a dryer. 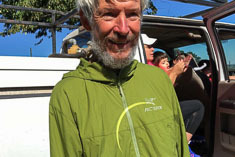 Eric was an athlete, most notably a skier but a cyclist and runner, soccer player and golfer as well. He also loved hiking. 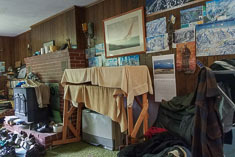 The shoe collection in front of the wood stove revealed the progression we all make from heavy Limmer hiking boots to lightweight hiking shoes to trail runners and racing flats and finally just sandals. The footgear gets lighter as we get older. Other than eating dinner with Mom and John and occasionally shopping for beer for the family Christmas party, hiking was the one thing Eric and I did together. I regret not arranging to do that with him on either of my last two visits to New Hampshire. Perhaps we would have talked about my having ALS. 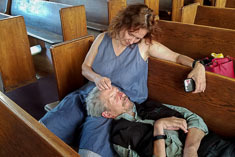 When several years ago I announced to the family that I had been diagnosed with ALS and had perhaps two years left to live, Eric commented that it should have been him who died first, and not me. It almost sounded as though he wished that he could die in my place. I wish now that I had asked him what he meant. 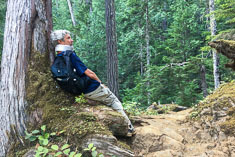 Hiking with him would have given me an opportunity to do that. While we were going to his house a few days before the service, I photographed a few pages of a job application which he had written some years earlier in which he outlined his work history. I thought the information might be helpful in my eulogy for him. I also photographed the back of an envelope from Fidelity Investments, on which Eric had written a Sudoku puzzle (one of his passions) and a few notes about something. It was not until a month after the service was over that I took a closer look at the image and realized that the talk he intended to give at my service was the subject of his notes. Ten years ago he wrote an obituary for Dad for the local paper. I think he felt the responsibility to do likewise for me, and to talk at my service as well. "Will I talk? Should eye? Si. Yeah, I'll talk", he wrote. "Brian, I'm working on your epitaph." "How do we talk about Brian? He was a sacrificial lamb. He was a God-fearing man. I remember Brian sitting by Nana. He had compassion! Selflessness. He was my hero." "Brian ran marathons like we walk to the mailbox. Where was our mailbox? On the cherry tree? We grew up together. I was his assistant and my life became one of an assistant." "He was a soft person, 'a flower child'. A true flour child, sensitive. Too smart, I used to think his brain got in his way." "Try to outlive your parents, I tell him." My eulogy became shorter and shorter as the week went on. Figuring that I would not be able to use it, I had not brought my laptop so I had to prepare the eulogy all in my head rather than writing it out ahead of time as I would prefer to have done. For several nights I woke up around 2AM and unable to go back to sleep, pondered what I would say at the service. I thought about how he was alone most of his life despite being around family and friends. He never married. I thought about the pain of being alone and about the fear that isolated him, and constrained him in other ways as well. After one of those nights I woke up depressed and didn't know why. I felt confused as I recited my eulogy to Darchelle, and realized that I wasn't sure whose eulogy I was writing, his or my own. We were so much alike. I too have been constrained and isolated by fear for much of my life. Although I did marry, I too have lived much of my life with the sense that there was no one there for me, that I was essentially alone in facing the world. 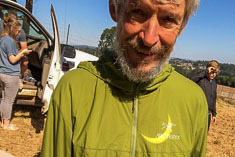 I too have found a sense of purpose and accomplishment in individual physical activities - mostly hiking and running for me, hiking, skiing and cycling for Eric. Eric observed that he gravitated towards being an assistant rather than the leader. He believed it was because I was the leader when we were young, but for much of my career I also avoided being the leader, and was much more comfortable being either the outside expert or the right-hand man. We even both like data. 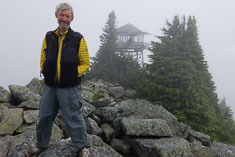 Eric recorded daily weather observations for years. I have recorded bird observations for years. While Eric was alive, I noticed the differences between us. Now that he has died, I recognize the similarities. After lunch, alone on the terrace with Darchelle, I cried, for Eric but also for myself. We were alike, but shared so little. Now soon I too will die prematurely, like Eric. Neither of us will remain and no one will know where we have gone. 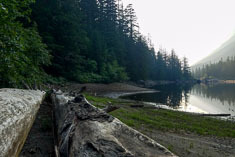 David and I hiked to Barclay Lake today. 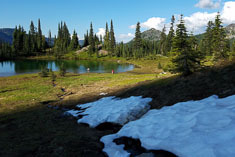 The last time I hiked there was with Susan and we had continued beyond Barclay Lake on a footpath up to Eagle Lake. On the way back down from Eagle Lake we had seen a Spotted Owl, my only ever sighting of that species in Washington, but that was 30 years ago. 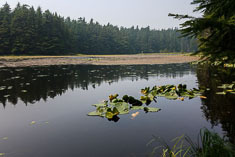 David and I searched for the old trail in the area at the head of the lake this afternoon but we could not find it. We didn't see any Spotted Owls either. 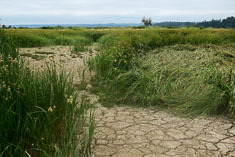 Despite being fed by a small stream and numerous little springs along the exposed mud flats and sedge marsh at the head of the lake, the lake level has apparently been declining intermittently all summer. The bare exposed shoreline with its series of little wave-cut benches reminded me of a reservoir after a long drought. 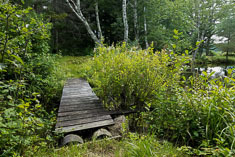 Downstream a half mile from the lake, the bed of the outlet stream is dry where the trail crosses it on a log bridge. Since we haven't had a long drought, and since the sedge marsh is well established despite being apparently flooded earlier this summer, I'm guessing that the lake level decline is an annual event. 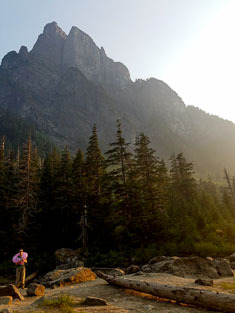 I would also guess that most visitors to the lake are more intrigued by the towering crag of Baring Peak looming almost directly overhead than by the gravel beach underfoot. 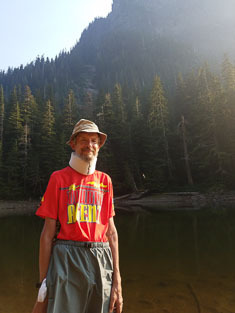 My neck became very tired while we were at Barclay Lake so I had David put on my neck brace to help me hold my head up during the hike back to the car. David had his own neck support, a pink inflatable floatation ring which someone had left along the shore. Actually this week was about much more than Mount Constitution. It was more about a reprise of our week on Orcas a year ago which culminated with Darchelle's and my wedding ceremony. 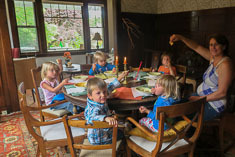 This time we spent five days in the Ruisma's beautiful house with Richard and Donna and Ben and Sally and the children. Marco and Monica and Marc also joined us for the weekend. We hung out at the lakes and hiked on the mountain and plotted ferry strategies coming and going. 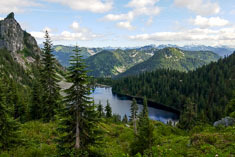 On one day I hiked up Mount Constitution from Mountain Lake with Marco and Monica and Marc, then down the other side to Cascade Lake by myself. The next day Darchelle and I hiked up from Cascade Lake. Richard and Donna hiked down from the summit to Cold Springs to meet us and we all hiked back to the top together. Darchelle and I then hiked down to and around Mountain Lake. She swam the last third of a mile or so from the dam over to the parking lot but I didn't venture into the water. Three days, three hikes after two days of sitting around the house following our return from Orcas. The hiking helped us feel like we were making good use of Darchelle's week off from work, though the time hanging out at home together was nice too. We left Friday afternoon and had a predictably slow trip north to Hayton Reserve where I spotted the Stilt Sandpipers that I had missed on Tuesday evening. We were prepared to sleep out but I hoped that we would find a motel with vacancies. We didn't. 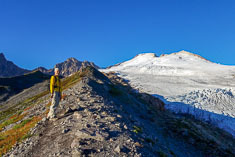 Instead at 10PM we pulled into the Glacier Peak Resort just west of Marblemount. We parked in front of the office where a light was on but nobody was home. While we were considering what to do next a woman walked up to us and said she would get the manager who could fix us up with a place for the night. He did, a tent site on a clean lawn half under a maple tree for about $20. Breakfast at the eatery was not bad but the staff were distinctly disinterested in serving us. 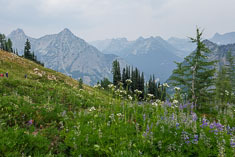 Our first and biggest hike was the Maple Pass loop from Rainy Pass. 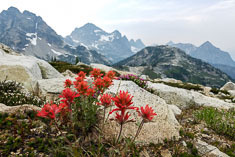 The sky was white with clouds and smoke so the views were subdued but still memorable, and the flowers between Maple Pass and Heather Pass were very nice as well. We started at noon and took seven hours to do the 7 miles but we didn't hurry. 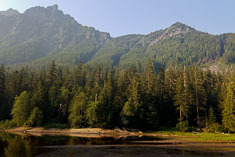 I probably did an extra mile wandering north along the ridge to a high point overlooking Lewis Lake. No Ptarmigan. We made it into Winthrop in time to hit up the Old Schoolhouse Brewery for dinner. Their Portabello Burger was light and delicious as was the beer I had, a special summer IPA I think. We slept out at the Goat Creek Sno-park; and at 3:30 in the morning it started to rain on us. We moved our bedding around to the other side of the tree which didn't totally solve the problem but helped. Sometime around five a mosquito paid us a visit and didn't leave until I woke Darchelle up and had her spray me with bug dope. An hour later a flock of nighthawks began calling and diving over us. I think we caught a little more sleep before the sun woke us up. 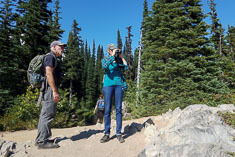 I wanted to do some birding up at Harts Pass so Darchelle gamely tackled the drive up from Mazama. The road was scarier than I remembered, but then again almost everything about the place seemed to have changed since I was last there 30 years ago. We parked at the pass and walked along FR 700 down the west side of the pass. 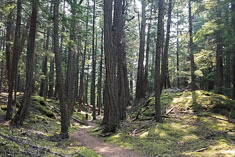 About a mile down we turned off the road and bushwhacked up to the Pacific Crest Trail through semi-open mature forest of Subalpine Fir, Engelman Spruce, Larch and Mountain Hemlock. 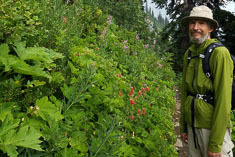 The understory was mostly huckleberry and White-Flowered Rhododendron, generally not too hard to navigate. 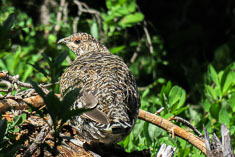 I was on the lookout for a Three-toed Woodpecker when I stumbled across a Spruce Grouse instead. Good things come to those who bushwhack! It was a young one, its tail feathers not yet fully grown, and it patiently posed for us long enough that both Darchelle and I got pictures. Up at the Crest Trail I counted 50 chickadees passing by in a single flock, all of them Mountain Chickadees as far as I could tell. I tried to tail them in hopes of picking out a Boreal Chickadee but they quickly lost me. Back at the car though, I heard some more chickadees and this time I heard and spotted a Boreal among them though it remained too high up in the fir trees for me to positively confirm the Id without optics. About 80% confident that it was not a juvenile Mountain Chickadee, I reported it anyhow. We drove south to the end of the road past Meadows Campground and I did a little hike down into the basin looking for birds while Darchelle took a nap. I found very few though there were some magnificent old spruces among the younger conifers. After she woke up we hiked a mile or so south on the Pacific Crest Trail and didn't recognize any of the mountains around us. We ate an okay dinner at the Mazama Country Inn; next time I would probably take the time to drive back to Winthrop. 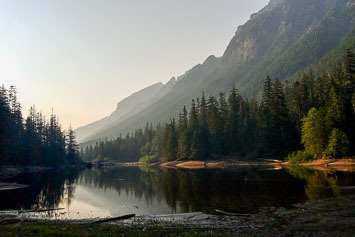 We slept under the stars and Lodgepole Pines at the Cutthroat Lake trailhead, very quiet and comfortable with a handful of shooting stars somewhat obscured by pine branches. In the morning I couldn't get up from a prone position on the ground without Darchelle's help, a consequence I think of declining upper core muscles. Not good. 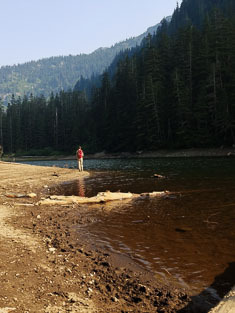 Cutthroat Lake was smaller and shallower than I expected. We tried to circumnavigate it but were thwarted by rough terrain at the head of the lake. From the south side of the lake though, we could see the open high country around Cutthroat Pass - looked great for Ptarmigan. Fatigue defined my day today. 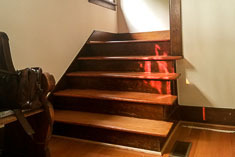 Even first thing this morning, I had to sit down and rest after walking up the stairs. 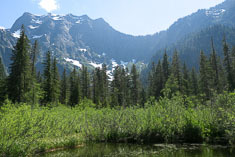 I dragged myself up the trail to Gothic Basin with the boys and Clarissa. Every time I stopped, my vision began to go gray as if I were about to faint. Although I did okay hiking, I really slowed down in the last mile or so. When we stopped in the basin to eat lunch, it was all I could do to take a bite of my sandwich and chew it. I just wanted to collapse but did not want the boys to worry about me. After lunch I began to feel a little better, though even then I had to stop and rest for a minute or so after every 30 seconds of hiking uphill. 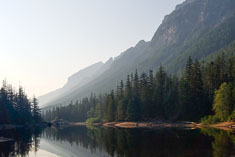 We ventured up as far as Foggy Lake looking for Ptarmigan and playing recordings of their calls, but did not find any. Darchelle and I did errands this afternoon. I don't remember what they were. Maybe we ate out for dinner, I don't recall. Darchelle fixed me a delicious breakfast though, a perfectly-cooked omelette containing cherry tomatoes, sweet basil, avocado and Manchego cheese, and then a plate of sliced peaches and white figs from Paulette's tree with a Greek yogurt chaser for the figs because I am allergic to them. The yogurt tempers my reaction to the figs. 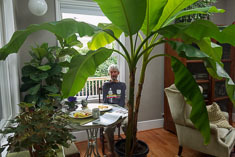 I sat under the banana trees in the family room to savor my birthday breakfast. Darchelle eventually joined me. 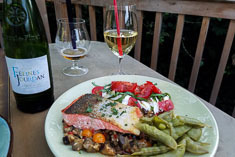 Speaking of delicious meals, two days ago Daniel fixed Coho salmon with eggplant coulis and burrata Caprese salad for lunch. Exceptionally tasty. 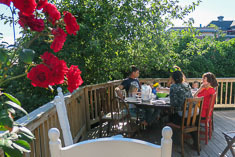 We ate on the back porch under a sky white with smoke haze from distant fires. The salad did not feature tomatoes from our tomato patch; none of those are ripe yet so he used Campari tomatoes from Costco. We will be fortunate if our tomatoes end up tasting as good as those from Costco. 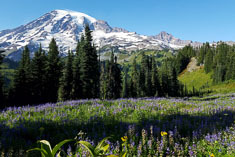 After much uncertainty about where to go to see the eclipse we came up with a plan which incorporated a hike, an owl prowl and eclipse watching without too much driving. 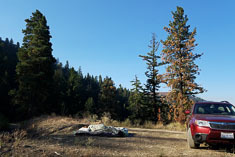 We considered driving to eastern Oregon, down to the Baker City area, in hopes of avoiding the crowds who were reported to be converging on western and central Oregon in massive traffic jams. The plan was to visit Richard and Donna in Walla Walla then drive south early Monday morning, view the big event then immediately start on the eight hour drive home. In the last week plans changed for both Richard and Donna so neither would be in Walla Walla after all. Meanwhile Claire had invited us down to Salem, and online traffic reports as late as Sunday morning (that is, this morning) were indicating clear sailing south on I-5. 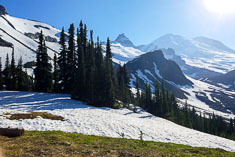 So we would drive down to Paradise in Mount Rainier National Park, do a hike up to Panorama Point to look for Ptarmigan, loop down towards Reflection Lakes in the early evening where a birder from Indiana reported a Spotted Owl last week then hit the road for Salem Sunday night. Because rare owl reports on eBird rarely disclose the accurate location of the sighting I didn't think we had much chance of finding the owl but it would be a good hike anyhow, and driving to Salem from Paradise would be the same as driving from Seattle, so we would save a couple of hours over doing the hike at Paradise by itself. After our usual late start, we arrived at the Paradise parking lot at 3:30 PM and set out hiking somewhat after four. We had a very nice hike, though devoid of Ptarmigan and somewhat short on photos because I had neglected to charge my phone on the drive down. Returning to the parking lot at dusk we decided to skip dinner at the lodge and drove over to Reflection Lakes to try for the owl from there. Typical of my somewhat casual approach to finding rare birds, I hadn't gone to the trouble of analyzing the photos included with the eBird report for clues regarding the location and habitat where the owls were seen, nor had I bothered to mark on a map the exact location of the sighting. All we knew as we set out in the dark up the trail at the west end of the lakes is that we wanted to do a loop around to the east end of the lakes, and that to do that we would eventually need to be heading back down the hill towards the dark peaks of the Tatoosh range visible in silhouette behind us by the light of the brilliant stars overhead. 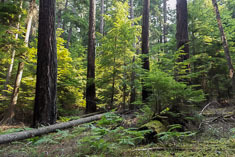 As we followed the trail up through a subalpine mix of meadows and a small fir groves, mostly second-growth it seemed to me by the light of the Darchelle's flashlight, it became clear to me that this was not Spotted Owl habitat. Boreal or Saw-whet perhaps, but not Spotted. At Darchelle's request I played a Spotted Owl call or two, along with some Boreal Owl calls, but as I expected we got no response. When we came to a fork in the trail we turned right. Maybe it was the right trail, maybe not; we didn't have a map so didn't know for sure. 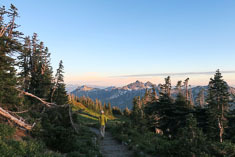 After a while though it became pretty obvious to me that we were not headed back down towards the Tatoosh range. I suggested to Darchelle that we turn back but she wanted to continue just a little farther. "Play the owl call again." she urged. I did, again to no response. We continued up the trail in the dark. "Stop", she said. "I heard something." We did, and I heard it too. A series of medium-pitched hoots "hoo hoohoohoo hoohoo hooeh", followed after a few moments by a short ascending whistle "heeeit". I was immediately certain that the two calls were made by two different birds and that both of them were Spotted Owls. We listened to them call several more times but when I tried imitating the calls they stopped. We waited for maybe five minutes before hearing them again, somewhat more distant this time. We ventured off the trail towards the calls, climbing a brushy hillside into an open meadow (a little tricky even with the flashlight) but again the owls went silent and when they resumed calling they seemed considerably farther away so we gave up trying to see them. Darchelle thought we should continue on the same trail rather than turning back and she was right. We arrived back at the car at midnight with a bright Milky Way spanning the dark sky overhead. Somehow Darchelle stayed awake to drive all the way to Salem. We stopped at Walmart to tried to buy eclipse glasses but to our non-surprise they were closed. Their parking lot was half-filled with both cars and RV's, people sleeping in their cars awaiting the eclipse in the morning. We slept in Doug and Claire's cavernous barn in a corner of the concrete floor, undisturbed. Later I determined from studying the map that we had heard the owls exactly where they had been reported on eBird. 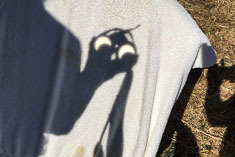 Although the length of my journal entry might seem to indicate that the eclipse was somewhat anticlimactic after our Spotted owl Outing, that was not the case. We drove up to Doug and Claire's "back forty", a broad open field on the slope of the hill west of their house. 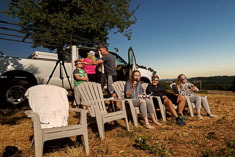 We parked in the upper corner looking out over the Willamette Valley, unpacked the lawn chairs and eclipse glasses and sat back to enjoy the show. I'm not sure the kids ever figured out what the excitement was about. Until about 10 minutes before totality, I was inclined to agree with them. We set up the spotting scope and used it and binoculars to project images of the advancing eclipse onto articles of clothing. That was fun. Perhaps the sun didn't seem quite as bright as usual but I could easily attribute that to lack of coffee until the last minute before totality when the sky began to darken and our excitement began to build. Suddenly, too swiftly for us to see all that was happening, daylight raced into dusk and the blinding arc of the sun was swallowed up by a small black hole in the sky. A silvery white glow extended unevenly out from the dark disc; I noticed it extended the farthest, maybe one or two diameters, on the lower right side of the disc. Perhaps there were rays discernible in the glow, perhaps not. I peered through the scope. Tiny but brilliant magenta flames rimmed one edge of the disc. 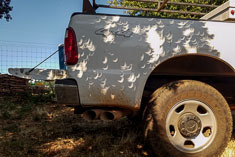 I wasn't sure that they were not just an optical illusion, but as the total eclipse proceeded they seemed to move and right before the glowing edge of the sun reappeared, they were particularly prominent. The moment the sun emerged, the black hole vanished and dawn swiftly grew into bright daylight again. "Don't look at the sun! Don't look at the sun!" 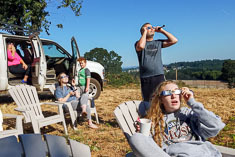 we all shouted at the kids as they emerged, squinting, from the cab of Doug's pickup truck. We chattered to each other, a little hoarse from all of our shouting during the two minutes of the eclipse itself, as the sun continued its measured ascent behind the crowns of the oak trees and the chill of the morning melted into the warmth of the day. We dawdled and picked blackberries on the way back down to the house but even so, the chickens were just emerging from their henhouse when we arrived. We spent a good day with Claire and the kids, monitoring the northbound I-5 traffic on our phones. Along about 6PM it was looking pretty good except for a brief slow down just north of Salem and a little congestion in Portland so we decided to leave. Unfortunately, saying goodbye took us another 2 1/2 hours. Apparently everybody else in Western Oregon was waiting for rush hour to clear before they set out for Washington, so we found ourselves in a massive bulge of eclipse traffic squeezing northward towards Seattle. Delayed by accidents and detours we didn't make it home until almost 3AM. 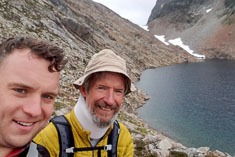 Half-convinced that if we returned to Reflection Lakes by daylight we would certainly spot the Spotted Owls, we persuaded Ed and Delia to buy into our delusions and they joined us for a day hike up to the Paradise Glacier, or rather to the valley where the glacier used to be. 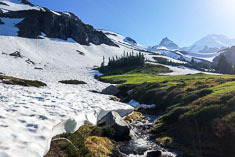 I have long wanted to explore that valley; surely, I reasoned, that must be where the elusive Paradise Ptarmigan dwell. Dwell there they may but we didn't see them and the owls were silent as well. Our bird list included nothing out of the ordinary but the scenery was gorgeous and the hike very satisfying. We tried for the owls again on the way down; probably it was not yet dark enough but I think it equally probable that the owls have moved on. 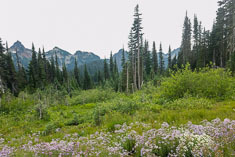 After all, subalpine meadows are not known as Spotted Owl habitat. Being as how Richard is on his own in Walla Walla this weekend and it is his birthday, we decided to make a quick trip over there to take him out to breakfast. 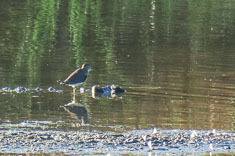 A trip sweetened for me by the possibility of seeing Baird's sandpipers at Potholes or maybe Othello, and further enhanced by the opportunity to meet Ed and Delia at the Redmond Retention Ponds in hopes that the reported Solitary Sandpiper might still be present. It was, and we celebrated over dinner at the Taj Palace before departing to Liberty for the night. FWIW the service at the Taj Palace was gracious but I thought the food a little ordinary, good but not great. We heard two Great Horned Owls and a Poorwill overnight. In the morning we did the hike I've been wanting to do all summer, up towards Table Mountain from FR 123. 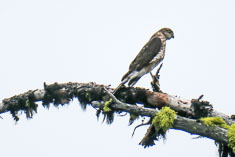 I was optimistic that we might see a Goshawk for a Three-toed Woodpecker but we did not. Nor were there any Baird's sandpipers at the Blood Ponds, at least not that I could find. Richard was delighted to see us and then and Sally and the kids joined us for breakfast at the Maple Counter Café. The Hollandaise sauce on Darchelle's Eggs Nicole made it a better choice than my otherwise similar Florentine Omelette. Delicious lemony Hollandaise sauce. On our way home I found my Baird's Sandpipers at Potholes State Park so I returned home happy, and especially since I succeeded in getting some photos. My phone, sitting on my bedside table, rang at 7:15. Unable to move my hand over there to pick it up, I did not answer. But I got to thinking as I lay in bed, who would call me at 7:15AM. Only a birder. Five minutes later I got up and looked. 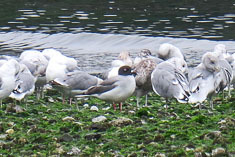 It was Andy and he had left a message, something about a Swallow-tailed Gull at Carkeek Park. I hesitated about three minutes before waking Darchelle up and asking her to make the 20 minute drive over there with me. The gull was still there. So was Blair, and Ryan Merrill who discovered it this morning at about 6:30. I peered through Ryan's scope at the wanderer, 3,850 miles from its home in the Galapagos Islands. 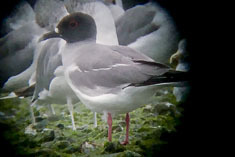 With its black head and red legs, I might have mistaken it for a Black-headed Gull had I been the first to see it. Hopefully I would have recognized my error before I told anybody about it. We did not get to see it in flight though we were able to see the deeply-forked white tail as it preened. 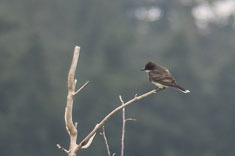 Other fields marks were distinctive - a long slender black bill with a down-curved white tip and a white bridge over the base of the upper mandible, a thin red eyering, bright red legs, and a bright white area on the outer forewing. 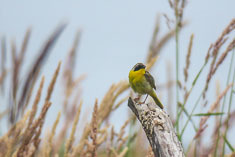 Blair's photos, posted on his eBird checklist, show the details much better than mine does. It was gratifying not to miss this one. 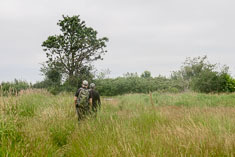 We met Andy and Ellen Friday morning at the Hoquiam sewage ponds, then continued out to the Game Range. I had hoped to find Golden Plovers there as they been reported several times recently but we saw only a few peeps. The channels running out to the beach are deeper than they have been in the past and have drained the flats so most of the mud is dry. We tried driving north along the beach but didn't find many birds and in particular, no Elegant Terns. With several hours left in the day, we were uncertain where to try next. I suggested Damon point as a decent walk even if we didn't get many birds. We set out on the east side of the spit and cut across where the old road turns east. 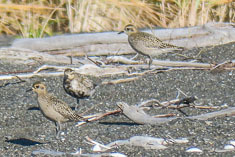 There, in a big open area where winter storms have washed sand and logs over the dune grass, I flushed a flock of nine the Golden Plovers, including at least two Americans. It took us a while with the scope to pick them out, distinguishing them by the relatively short tertials and relatively long primaries. After Ellen took a few photos with her camera I asked her to take a few with mine, then took the camera back and by bracing it on a piece of driftwood, dragging my finger onto the shutter with my teeth and pressing down on the finger with my chin, was able to snap a few photos. Perhaps my last. We ate dinner at Rediviva (Charbroiled Black & Bleu Oysters were exceptional and the roasted Brussels Sprouts delicious) and slept at the Econolodge (cheapest remaining place in town for Labor Day weekend), both in Aberdeen. On Saturday we birded Westport and the coast, starting at Bottle Beach a few hours before high tide. 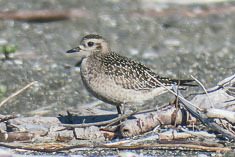 We didn't find as many shorebirds as usual when we first arrived but eventually lots of Black-bellied plovers and dowitchers arrived, along with a few peeps, two Red Knots and a Ruddy Turnstone. 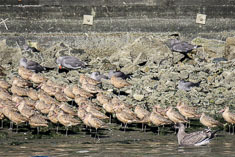 The fun was cut short by a Peregrine which singled out a dowitcher, pursued it with four or five stoops and grabbed it. The falcon was heading straight towards us at that point and we watched it reach down with its beak in mid-flight and snip the dowitcher's spinal cord. 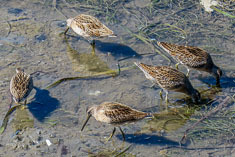 The other shorebirds were freaked, taking to the air in tight groups and sweeping up high before departing entirely. 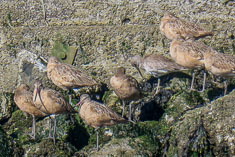 At the marina we found the Bar-tailed Godwit among the Marbled Godwit flock perched on the shaded rocks below the Coast Guard station. 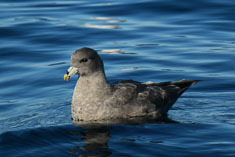 There were lots of Heerman's Gulls and a small flock of Black Turnstones roosting on the floats nearby. The photos above were taken later in the day when we returned with Ed and Delia and found the birds roosting on the sunny rocks along the breakwater wall. Although Ellen and I walked the entire Midway marsh we found no shorebirds. I had hoped for Pectorals there. In a harbinger of environmental degradation to come, Purple Loosestrife is becoming established along the inland side of the marsh, lending attractive magenta highlights to the landscape. We found little at Graveyard Spit except some happy bathers wading in the channel. At the Tokeland Marina a dozen or more pickups with trailers were waiting in line to pick up their boats. 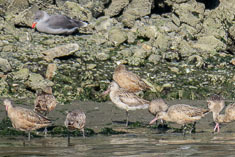 This time the local Willets were cooperative, foraging with Short-billed Dowitchers right below the Crab House. We ate at Billy's Bar and Grill in Aberdeen. The food was okay (I ordered fried oysters) and the beer selection quite good. Andy and Ellen returned to the Econolodge but Darchelle and I drove back to Shelton then north towards the Hood Canal where we slept behind an electrical generator right next to Potlatch State Park. We both hid under the blanket to avoid persistent mosquitoes and that worked quite well. In the morning I noticed five bug bites on my legs which were way too itchy to be from the mosquitoes. Most likely from bedbugs at the Econolodge. Nasty! 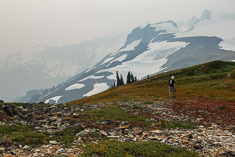 We continued north to the Hamma Hamma Valley in the morning and set out hiking up to Lena Lake around 11AM. 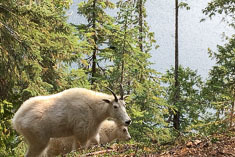 We stopped for lunch at the Lunch Ledge overlooking the lake, sharing our food with a family of Gray Jays and our space with a couple of Mountain Goats. We continued up Valley of the Silent Men but made it only to the first bridge. Darchelle napped there while I hiked up to the second bridge, which was about where the stream disappeared into its gray stone bed. On the way back my neck became very tired and the brace did not help much. Photos by Darchelle. The sky is white and the sunlight is red, well actually orange, this morning. Tiny bits of ash, smaller than the smallest of snowflakes, are filtering down from the sky and settling on car windshields and ripening tomatoes. 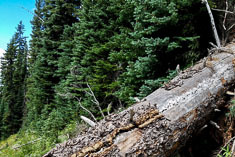 Not the end of the world, but perhaps a sign of the end of Northwest forests as we know them. 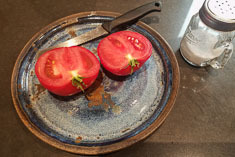 Before we went out to inspect the tomatoes and to sit down on the front steps so that Darchelle could clip my toenails, we sat at the dining room table and ate our first garden tomato. 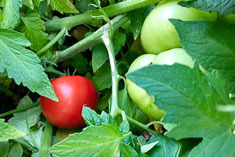 The $700 tomato, I called it, since that is what we spent on the two garden boxes, the dirt in them and the labor to put it there. To be fair though, one box went behind the house to support a Kiwi vine and the tomato box only used about a quarter of the dirt, so that would make it our $300 tomato. The variety is Big Beefsteak and though the fruit itself was large and round and unblemished the flavor was rather mild. 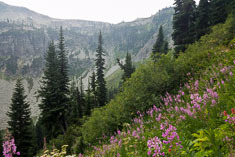 Daniel and David and I drove up to Bellingham this afternoon with the intention of hiking Ptarmigan Ridge tomorrow. 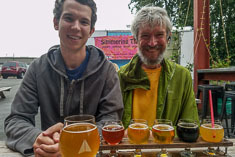 By sleeping up there we might be able to get an early start, but also I wanted to try for the Hudsonian Godwit reported on Semiahmoo Spit and Daniel wanted to visit any of several Bellingham breweries. 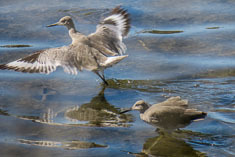 As with my previous two tries for the godwit, it was a gonewit by the time I arrived. I met several birders I know - Paul Bearny, Blair, Eric Heisey with Annika, Wayne Weber - but none of them had seen the bird today. We may have missed the bird but we did not miss the brewery. My phone found Wander Brewing for us. We ordered Indian from the food truck; it was a little heavy on the rice but tasted good. 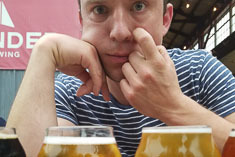 The beers were quite good. Mabel's IPA was bright and fruity with a light sweet malt backbone. The Smoked Farmhouse was a lightly-smoked Session ale with a bit of funk. The Stave Some was seriously sour and rich. The other two were respectable as well but not as special as those three. We slept at a forest service campground, the takeout for one of Daniels North Fork kayak runs a couple of miles above Glacier. Very dry, despite the river roaring in the background, and no mosquitoes. I slept well except for a challenging 30 minutes during which I managed to get into a sitting position, then got up to pee, then lay down and pulled covers over myself and finally rolled over without losing the hard-won cover of my blankets. Nothing about the hike the next day compared in difficulty to that. 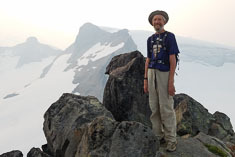 Granted, Ptarmigan Ridge is not a difficult hike. 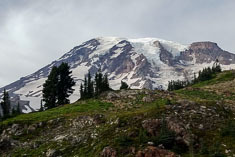 We did about 12 miles and 2000 feet up and down, 32,000 steps for me by the time we returned to the parking lot at Artist's Point, where the artists, if there were any, did not fare well today. 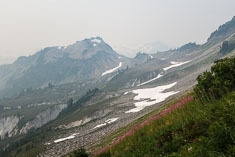 Both Baker and Shucksan were obscured by smoke, and even nearby ridges were obscured by the white haze. The air smelled like smoke the moment we stepped out of the car, and I had no difficulty detecting the scent any time I thought of it during the day. 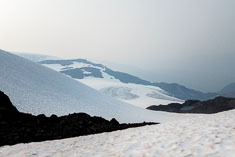 With a name like Ptarmigan Ridge, you think it would be a good place to find a Ptarmigan. It apparently is, unless I'm the one who's looking. We didn't see a lot of birds but while Daniel and I were perched at the trail's end on East Portal, a dark juvenile Merlin soared by just below us and only 40 feet away. 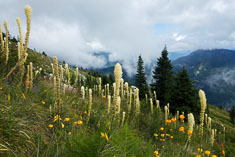 We found more snow and more flowers then when Daniel and I did the same hike a year ago. 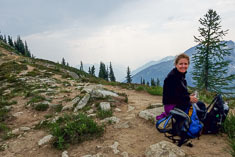 We ate lunch in the scenic saddle just west of Coleman Pinnacle and searched the ridge line for the eponymous white and brown chickens but found none, and not even any goats this year. We made it all the way to the end of the trail this year, and the last half-mile is well worth the climb. On the way back to the car the boys debated whether homeschooling was beneficial or harmful to their lives since then. I think they concluded that the net effect was negative, primarily perhaps due to how far behind their peers they were when they finally did start school. Daniel felt that he was still trying to catch up. 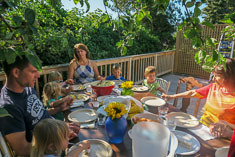 I explained something of our reasons for homeschooling them, including the theory sold to us by Raymond and Dorothy Moore that by starting formal schooling with them several years later than is customary, they would make such a rapid progress that they would actually pull ahead of their peers within a few years. Maybe that works with genius kids who teach themselves and qualify for admission to Harvard at age 16, but that is hardly a representative sample. 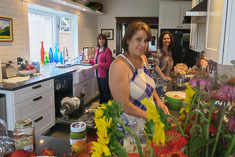 I agreed that homeschooling was not particularly successful for them, and pointed out that they should not blame just Susan for that because I agreed with her homeschooling them but declined to participate in it. 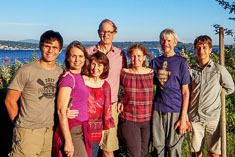 I also pointed out that it was Susan's idea for them to attend Charles Wright and her determination that got them in there, and though we started late we could have done far worse. We stopped at North Fork Brewery on the way home. 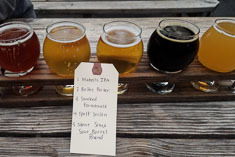 They had nine beers on tap; I ordered a flight that included all of them. I now regret not making any tasting notes because all that I recall is that of the nine, four or five tasted exceptionally good and there were not any that I did not like. I guess I'll just have to stop there again. After a year and a half of not visiting the ALS clinic I discovered where my original neurologist had gone to - Swedish Hospital - where he started a new ALS clinic. Today I went to see him, In part because I thought it might help me get into the upcoming Phase 3 clinical trial of NurOwn, and partly to get his opinion on how long I have to live given the recent progression of my ALS. I didn't really get a definitive answer on either question but his opinions were at least somewhat encouraging. It turns out that I do not qualify for the clinical trial anyhow because it has been more than 24 months since the onset of my symptoms (some 52 months ago). On the other hand it is likely that I have more time remaining than I had been thinking I had. Because in the past year I have lost much of the muscles in my chest and neck, affecting my breathing and to some extent my swallowing, I've been thinking that I only had a year or so left. My functional rating score change has reflected this as well. It declined four points in 2014 and five in 2015 then only dropped three more points, to 35, in the 18 months through June 2017. In the past four months though, it has suddenly lost an additional three points. Granted, the FRS is not a very granular measurement of progression, but it does match my subjective evaluation of my decline. The neurologist reassured me that my ALS phenotype (sometimes referred to as "Flail arm syndrome" or "Brachial Amyotrophic Diplegia") rarely develops significant bulbar symptoms so my ability to swallow should be okay for a while yet. Breathing is more of an open question but my diaphragm still seems unimpaired even though I have lost some of the chest muscles involved. 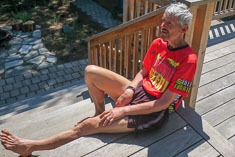 Based on my review of the research, and the fact that my ALS variant involves lower motor neurons only, originated in my arms and shoulders and took more than 36 months to advance elsewhere, I should be able to stay alive for another 2 1/2 years. Given that I have in the past generally believed I have about two years left, that's not really a big change. He did not think much of any of the stem cell-based treatments but is involved in a clinical study of Amylyx, a combination of two drugs taken orally, Sodium phenylbutyrate and Tauroursodeoxycholic acid. Each (NaPB at 9g/day and TUDCA at 2g/day) has apparently shown some effect in slowing the progression of ALS. Unfortunately, I do not qualify for the clinical study because I have had ALS more than 24 months (sound familiar?). However, both compounds are available on Amazon, and my neurologist did happen to mention that one of his patients had been able to obtain them on his own. Perhaps I will give them a try. He also recommended I go back on Rilutek, so I'll do that too. The setting was the front porch and front yard of the house in Jackson, with references both to how it was when I was young and to the catered dinner on the evening before Darchelle's and my wedding celebration there last fall. 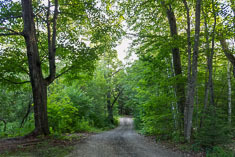 I was walking on the Atwell's driveway where it meets Wilson road, next to the little shelter he built where his kids would wait for the school bus, with several friendly dogs. As I reached Wilson Road the three dogs suddenly turned on me as if they were going to attack me. The biggest one, with long dark hair, just barked at me while the second one, nearly as large, snarled and lunged at me. 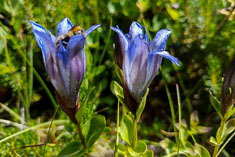 The smallest one, a short-haired breed like a Blue Heeler, seemed the most sinister, crouching with its muzzle flat on the ground and slithering sideways along the road next to me as if ready to strike the moment I turned my attention away from it. Frightened, I got away from them and walked in through the front door of the house. Andy, who lives nearby and was my closest friend when I was a child, was standing in the warm light of the kitchen but I did not go in to greet him. Instead I announced "I'm going to brick those dogs. Nothing attacks me and gets away with it!". 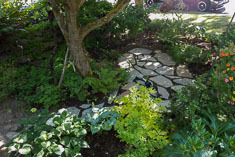 I meant that I was going to get some bricks from the back of the house and throw them at the dogs, but when I went to pick up the bricks I found that the bricks were in pieces and that moreover I wouldn't be able to throw them because my arms were weakened by ALS. I would have to go up dangerously close to each dog and drop a piece of brick on its head. With difficulty I carried a few pieces of brick out the front door. From the front porch I saw that the dogs were lying down on the far side of the new driveway with only their heads showing, as if they were under a blanket or something. I also saw that a couple was walking near them. I did not want the couple to think badly of me for throwing bricks at the dogs so I canceled that plan. As I walked out onto the front lawn I saw two Border Patrol trucks parked in the old driveway. About a dozen border patrol soldiers in dark uniforms were standing shoulder to shoulder in two columns in the first truck. The second truck held a yellow bulldozer with a bright silver blade on it. I did not know why the border patrol soldiers or the bulldozer were stopped at our house so I figured it was safe to ignore them. I walked around the corner of the porch to where John was cooking hamburgers on the grill and Joe was sitting in a rocking chair nearby. In front of Joe was a large circular tray with bright yellow wedges of quiche sitting on it, some of them partly soaked with balsamic vinegar dressing. I assumed that the food was from a caterer. I remembered the dogs and looked over the driveway at where they had been but now they were gone. Turning to John I said "Hit me up with one of those John burgers!" What strikes me about this dream is my sense of agency in it. My last line was even delivered with a bit of a swagger. I am powerful and in charge; I intend to punish the dogs that threatened me and get what I want. Despite my agency though, I am limited in what I can do to the dogs by my ALS, by others' expectations (the couple out by the dogs) and by the behavior of the dogs themselves, which fade away before I can get to them. About those dogs. Two clues: there are three of them and dog spelled backwards is God. The dogs attacking me represents my experience of God turning against me. Forty years ago I turned to God expecting a loving parent who would be with me and be for me but God turned out to be instead a critical and demanding authority figure (basically a projection of my own superego) who expected perfection and condemned me for falling short. After a hiatus of following college I returned to God because I believed myself incapable of managing my life. Like a virtual parent God would do that for me. But "let go and let God" turned out to be an abdication of my agency, and when I finally took responsibility for my own choices in life I found that attitude incompatible with my "personal relationship with God" which called for submission and obedience. In the dream, it was not my anger but my agency which caused my God to disappear. It could be argued that my image of God was seriously flawed, and that I should have revised the image rather than discarding its object. 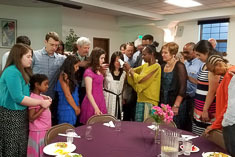 John McLarty exemplified that approach for me, re-imaging God as a truly compassionate and understanding Creator who counts all people as his own, who does not condemn his children for their faults whether born of misunderstanding or of willfulness, and who partners with them in an infinite variety of ways to help them through a difficult world. I think that might be the "John burger" I request at the end of the dream - a God in whom I could believe and who could accept my choosing how to live my own life. For those of you who have read this far, yes I recognize that my problem with God is a first world problem. Thank you for indulging me. For much of the day today, I almost forgot I had ALS. 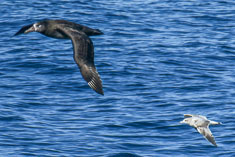 Of course pelagic trips are different now that I can't take photos or view the birds through binoculars, but I became absorbed in the challenge of identifying distant birds by their size and shape and manner of flight and didn't much miss the things I couldn't do. Darchelle graciously came along; as she puts it, she enjoys about four of the nine hours we are out there. She even took some photos this time. 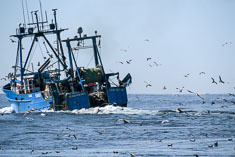 Conditions were good, not much wind and swells at about 6 feet but with a long period so the motion of the boat was gentle. 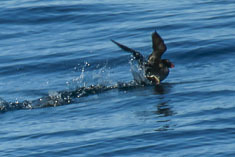 The birding was somewhat slow although we did see three different Laysan Albatrosses. 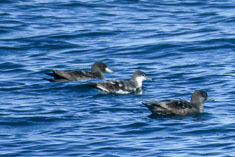 Flesh-footed and Buller's Shearwaters were new for me for the year along with a Pomerine Jaeger. In the old days I would have gotten a great photo of the Jaeger. For good photos of some of the pelagic birds we saw, check out this eBird checklist from one leg of the trip. Float Cup Type Fill Valve (not floating all the way to the top in toilet tank so toilet runs). Tom stocks this on his truck. New hose for our kitchen faucet (hansgrohe 14877001 Talis S Kitchen Faucet) (ordered today from Hansgrohe, order confirmation: Ref-No 170914-000664014). 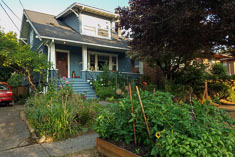 I called Tom (206-632-1752) at Alpine North Plumbing (4225 Linden Ave N, Seattle 98103) whom I found on the Seattle Only business directory website He suggested I order parts and call him to install them. I also downloaded a service manual and installation manual. On another topic, since I keep forgetting how to pair my Bluetooth headset with the computer, I am repeating the instructions here. Unplug USB thing from the computer. Wait 30 seconds. Place headset in pairing mode by pressing black button at top of boom for five seconds. Plug in USB thing. When light on USB thing switches from flashing blue to solid blue headset is paired. This needs to be done when switching between the two Plantronics Voyager Legend headsets, in order for Dragon NaturallySpeaking to find the new headset. This afternoon it rained. Not just mist or drizzle, but a little real rain. That triggered a change of plans for us. 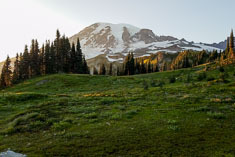 We've been planning to drive down to Mount Rainier National Park with Claire and her children for a walk through the Grove of the Patriarchs with them, then go owling at Sunrise before sleeping out somewhere and hiking up to Grand Park tomorrow. We went to IKEA in Renton instead. The visit to IKEA was Isaac's idea. He suggested it repeatedly over the past three days. With so much anticipation, it's hard to imagine that the reality would not be a letdown for him but he seemed very satisfied with the visit. Claire bought each of the boys a souvenir, an IKEA train, set for the trip home, then we lingered for lunch in the new cafeteria. Reminiscent of public facilities and we encountered during our trip to Sweden last summer, the cafeteria was well designed for families with small children. I watched the boys while Claire stood in line to buy food. They were generally engaged by the triangular kiosks with various durable moving parts and puzzles and by videos of Peppe the Pig, although Jake got distracted periodically by the delicacies available for sampling on the racks of trays in the busing station. I recruited Darchelle at that point to discourage him while I watched the other three. Although clearly unconventional, his eating and drinking other shoppers' leftovers didn't bother me much. You have to pick your battles. I can honestly say that I enjoyed their three day visit. I was able to connect one-on-one with each of the children at different times and in different ways, and also able to discipline/direct them on occasion too. I realized that I could not do the latter effectively without first achieving the former. I think I now know what it feels like to be a grandparent, to enjoy the challenges of parenting without bearing the responsibility. I found that I genuinely loved the children even though I at times was exasperated by their behavior. Daniel and I ate lunch at Junebaby on 65th. I had the smoked chicken sandwich and he had the fried catfish sandwich. Both were delicious. For an appetizer we had chitterlings. They were undoubtedly very well prepared but I doubt I would ever be to call them delicious. When they arrived at the table I suddenly suspected Daniel of a severe case of halitosis. The smell was that which I encounter when I floss a piece of salmon out from between my teeth three days after having salmon for dinner. Worse than it sounds. Updated my will today, or at least took some steps in that direction. 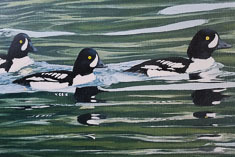 A recurring feeling of being short of breath this week made me wonder if I don't have much time left, maybe not even a year, so I figured I had better get my ducks in a row. Summer is almost over. 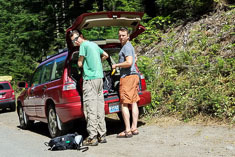 David and I were going to hike somewhere after he finished cleaning up jugs from the marathon out in North Bend Friday. 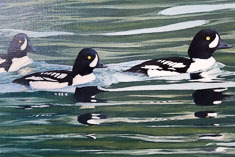 I got busy with errands (such as obtaining a full-sized reproduction on canvas of Daniel's goldeneye painting from Stretch and Staple) and washing jugs took David a longer than he expected so we met for dinner at Zouave instead. We sat outside on the patio; the evening was barely warm enough. We shared an appetizer - eggplant and zucchini roasted with goat cheese - it was delicious. I was happy with my entrée, OSSO BUCO (Lamb shank served with gnocchi Alfredo) but only finished half of it. The meat was tender, the gnocchi was flavorful and the sauce was rich. Service was a bit slow but the food was better than I remembered from last time. After dinner we filled out the online real estate excise tax affidavit form to accompany my quitclaim form for the Auburn house. I printed it out and David delivered it to Susan when he went home. He is eager to finish separating Susan's and my joint assets and accounts remaining from our divorce 2 1/2 years ago. The quitclaim deed releases my share of her house. I also wrote him a check for the Capital One account balance plus about $800 to cover any credit she might have gotten by deducting the Auburn house property tax payment, which the account and credited to me on the 2015 return. Correctly I might add, because I actually paid the tax, but I didn't want Susan to know that I paid it because she might expect me to pay the past-due 2017 tax as well. A wave of Lapland Longspurs arrived Thursday night across Western Washington. That's a bird I haven't seen this year so I suggested to Ed and Delia that we go look for it at Marymoor Park, and on the way out stop at Juanita Bay Park to look for a recently reported Yellow-bellied Sapsucker, quite a rare bird in Washington. We didn't find the Longspurs and when we arrived at Juanita Bay Park birders told us the sapsucker had last been seen an hour earlier in those big trees over there. We looked and rather quickly located a woodpecker but it was the wrong kind. About 15 minutes later another birder by the name of Chuck took pity on us and pointed out the sapsucker. It was in plain sight about 40 feet up in a poplar but it was very difficult to see. When I got off the boat two weeks ago I thought it might be my last pelagic trip of the year, but I did another one yesterday, thanks to Mary. When I dropped by their house the other evening just because I wanted to get out for a walk, I told them about the pelagic trip and Mary was really excited to do one. 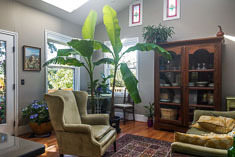 I went ahead and booked two places with Westport Seabirds even though Mary wasn't sure she could make it because she has a big presentation for work next week. Friday she decided she could go. She and Darchelle and I shared a room at the Glenacres Inn. Darchelle drove us to the marina in the morning then went back and slept until checkout at 11AM. By that time Mary and I were 30 miles offshore surrounded by fulmars and albatrosses and three kinds of dolphins. Unlike the trip two weeks ago, this time the marine mammals really delivered. Humpback whales surfaced so close to us that we felt the spray of their blow on our faces. I was really impressed with how broad their backs are, probably six feet or more. They reminded me of the enormous black cows. Mary was delighted with the show, especially the Pacific White-sided and Northern Right Whale Dolphins riding the bow wave of the boat and occasionally even leaping out of the water just a few feet away. We also saw lots of Risso's Dolphins lazily surfacing in groups of three or four and a handful of Northern Fur Seals, one of which convinced both Mary and me that it was a log until it suddenly raised two long floppy flippers straight up above the water. 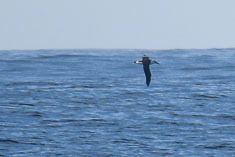 I had hoped for several year birds but only picked up a distant South Polar Skua. Conditions were about as smooth as they ever get, with just a four foot swell and not much wind. We drove directly back to Seattle in hopes of spotting a Blackpoll Warbler Ed reported in his yard earlier in the day. The warbler was gone but Darchelle and I had a nice dinner with him and Delia. A little rain this morning was sufficient to deter us from hiking. I accomplished little during the day. 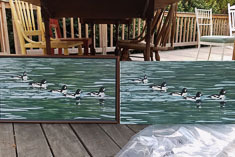 We did turn over the canvas print of the goldeneyes painting to David, framed with the frame from the original, which Daniel kept. David hugged me goodbye, holding me for a long time. It almost felt final. Susan was in the van so I did not accompanying him out to the car. 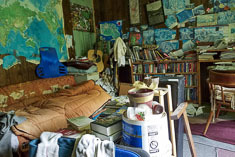 Instead I locked the door behind him and retreated to a bedroom, feeling irrationally fearful and maybe sad and angry too, I couldn't tell for sure. Daniel took me hiking on his day off. It was our first hike of the fall, or maybe the last hike of the summer, given how warm it was. 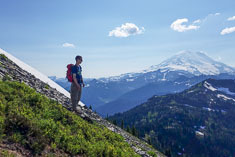 We hiked up the Park Butte and Railroad Grade trails on the south side of Mount Baker, a route I last did about 25 years ago when I climbed Mount Baker with Larry Moody. On that trip we spent the night somewhere in the neighborhood of where we turned around today, then ascended the peak the next day. I remember that we pooped in a trench in the snow and I don't think it occurred to me to wonder what would happen to our deposits come summer time. In any case I didn't drink out of any streams today. We left Seattle at noon and started hiking at 2:30 PM. After the first mile the trail climbs at a steady grade for about 1000 vertical feet. My breathing was pretty well maxed out on that section and I averaged about 1300 vertical feet per hour. 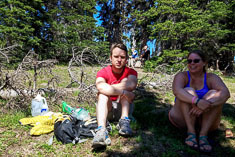 Not great, but at least no worse than I did with David on Granite mountain two months ago. 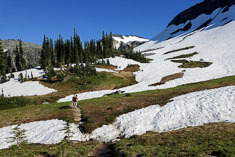 Ascending the Railroad Grade, a dramatic knife-edge lateral moraine ridge, we searched for Ptarmigan and Daniel played calls on my phone but to no avail. We took pictures, or rather Daniel took pictures with both his and my phones, which is why I am in all the photos and he in none. 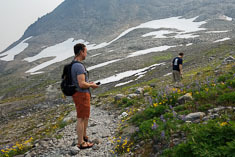 Above the upper end of the moraine we ventured out onto the glacier following flat-topped ridges between old crevasses. The glacier at that point is moving barely if at all and most of the crevasses were mere ditches though a few narrow to terrifying dark cracks deep in the ice. Between them the surface of the old ice was as abrasive as sharkskin yet still managed to be slippery enough to inspire caution. More dangerous were the rough lateral ridges of loose gravel and boulders between the ice stream and the polished ledges of its bank; I nearly fell twice on that 50 foot crossing. We spent too long exploring up there and despite hurrying back down to the trailhead we were too late to get to the North Fork Brewery for dinner and great beer. Too bad, because this time I was going to record the tasting notes that I failed to do last time.